Pretty Polka is your little casket of cute things. Pretty Polka is a place where you can know\read reviews about beauty, makeup, skincare & haircare products in the market and share your views about them too. Its a place where I share the teeny-weeny makeup details I know that can help my readers. Apart from being a beauty\makeup blog I also share some cute DIY stuff here that can help you. And I love SSCPL Herbals website a lot lot lot because when you want to know about their product you just have to go to the product page on the site and there you have everything listed out! Their products are of professional quality, they work wonders and are perfectly affordable. I'm already bowled over by this humble brand which focuses on natural and organic skincare & haircare products. Well today's review is going to be about their Vitamin C Modelling Mask. Get help with tan removal, open pores and pH balance. The concept was to have a paraben, SLS\ES free and natural solution for instant glow that is skin friendly, non toxic and easy to use. Hence we are here with a product that has 100% natural ingredients and is intended to instantly moisturize, hydrate, detoxify and tighten you skin for a natural glow and radiance. A total nourishment for a dry and lifeless skin, the Vitamin modeling mask helps to lighten the tan, balance skin pH and work effectively on open pores. It helps impart a lasting radiance and it also contains orange peel that is well known for its skin lightening properties. Suits all skin types. The SSCPL Herbals Vitamin C Modelling Mask comes in an silver\aluminium zip lock pouch that's further sealed too. You don't have to worry about storing it and it's a travel friendly pack as well. The product is a dull white powder which has to be mixed with water and applied on to skin. Once mixed with adequate water it forms a thick paste. You will have to apply a thick layer for perfect distribution of product. The brand recommends to apply the pack on cleansed skin after applying a toner. I exactly followed their instructions although it's the first time I'm hearing that you need to apply a toner before a face pack. It dries to a complete white mask after 15-20 minutes. The best part is it's a peel off mask and it can easily be peeled off after drying unlike some bogus ones which don't even peel a bit! Also no face mask gives you lasting effects anyways!! Overall it's a very good mask if you are looking for something that works great in giving your brighter and glowing skin and also works on tightening it. ~ Product was sent by brand for consideration, honest review as always! Read on to know more about it and how I love using it! Say goodbye dull complexion with the Matt Look 2 Way Pan Cake Powder. Its water-resistant, lightweight formula imparts a soft, smooth finish. The long-lasting formula keeps your face fresh for hours and the excellent coverage minimizes your minor imperfections. It absorbs the extra oil on your face for a refreshing, matte look. Just like all their other products the packaging is BOMB - The Matt Look Cosmetics Splendid Makeup 2-Way Cake comes in a three layer stack casing with two powders and a sponge for application. It also comes with it's own mirror. The packaging reminds me so much of Lakme 9 to 5 Creme Compact because it exactly looks like that! The packaging is handy and sturdy - the mirror is convenient to use it anywhere on the go. The sponge is good but it's not a great choice for applying powders as it tends to get cake-y. 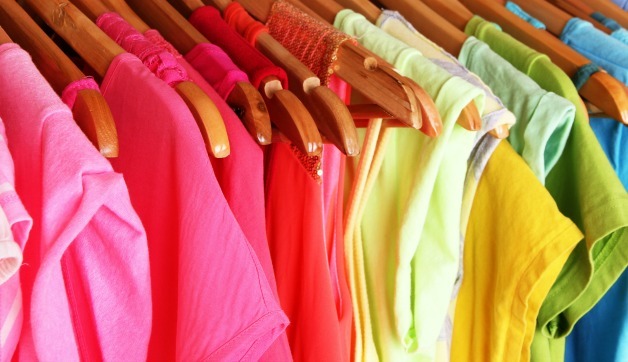 The top rack hosts a yellow toned powder while the second rack hosts a pink based one. I get the idea and it can really work in 2 ways - one making it a versatile choice for both yellow as well as pink undertones while the other being the pink compact serving as a compact powder and the yellow one can be used like a translucent powder (similar to banana powder). Both the powders are finely milled and they're super light and soft. They spread easily and gives matte skin instantly. It doesn't get cake-y if applied the right way and keep skin oil free for 3-4 hours. If you have normal to dry skin then it might last longer than that for you - my nose gets greasy very soon. ~ The product was sent by brand for consideration, honest review as always! Ok rant over and I'm again trying to be consistent here as much possible, let's see how it goes. They have an entire line of skincare products and the hot-sellers are their soaps! It contains tiny scrub particles that exfoliates skin very well without feeling harsh on skin. The soap has a very mild scent and it's not even recognizable. It's neither too creamy nor too solid - just has the right level of creaminess and it didn't melt off even in Chennai's summer, kudos to that!! And as I said the Charcoal Soap is one of their best sellers and it's actually raved by their customers that it removes tan! Does it really remove it? Yes it definitely does remove the everyday tan we get and definitely gives a radiant and brighter look to skin. I never thought I would get such feel with a bar of soap but yes :)) It doesn't remove excess or history tan marks but cleans off everyday tan beautifully! 2 Be Beauty Care Makeup Remover comes in a spray bottle - perfectly convenient and handy! It is a transparent liquid and looks exactly like a bottle of water. The 2 Be Beauty Care Makeup Remover smells exactly like rose water and feels like water too - it doesn't have any greasy feel to it unlike other bi-phase makeup removers. So if you are looking for a micellar water that would remove off light makeup, if you are not much of a makeup person and use a makeup remover only to clear of the everyday kajal and lipstick then this is a good option available in the market. I would say it's one of the cheapest micellar waters available in the market that too without any chemicals. I prefer bi-phase makeup remover anyday! This Charcoal Cleanser from 2 Be Beauty Care is an oil based cleanser with charcoal particles in it. It comes in a regular transparent plastic bottle pack. The charcoal particles are super fine and they help in exfoliating the skin very well. But the charcoal particles tend to get settled down inside the bottle and you will have to shake it a few times during every use to get them out. It has a mild herbal fragrance and I believe it's the fragrance of the oil in it and isn't overpowering. So I use this Charcoal Cleanser as part of my oil cleansing routine and it works very well in that department! The charcoal particles help in exfoliating my skin gently and cleansing away all the impurities. One huge issue with it is that I'm not sure if it is non-comedogenic because this cleanser broke me out continuously after every use for the first few uses (5 times I believe). But suddenly stopped giving me breakouts after that. So if you have sensitive/oily/acne-prone skin then this one is definitely not for you and I don't recommend it at all because the oil in it is a bit heavy. But if you have patience and tolerance then this can be a very good and affordable oil based cleanser to include in your routine. I feel this would be a good choice for dry skin people as the oil would hydrate their skin well. Overall if you already have some oils that suit your skin and use them then this isn't for you. If you are interested in including a new oil based cleanser in your routine that is free of chemicals and is affordable then you can try this one. Disclaimer: Products that work for me might not work the same way for you even if we have the same skin\hair types. So I always recommend a patch test before using a product to ensure you aren't allergic to it. ~ Products were sent by brand for consideration, honest reviews as always! Today's post is going to be one of my most favourite mascaras from my favourite brand - Maybelline The Falsies Volum' Express Mascara! WHAT IT IS: Enriched with a Pro-Keratin formula, this mascara instantly builds volume without clumping. Sweep on this mascara and get angel-like lashes in seconds! BENEFITS: Achieve a dramatic, The Falsies® lash effect! Unique and flexible mascara wand helps to lift and separate, delivering the look of more lashes. Patented spoon brush loads every lash with extra long fibers, instantly building volume. Ophthalmologist tested. Suitable for contact lens wearers. STEP 1: Hold brush with the spoon side at the base of eyelashes and sweep from root to tip. The mascara has a light-weight formula and creamy consistency which helps it spread easily. It has a slight odd fragrance in this initial few uses but doesn't have any odd fragrance after that. Once applied the Maybelline Falsies Mascara dries quickly (less than 30 seconds) and sets up. Just 2 coats give your lashes a beautiful dense look but it doesn't give much lengthening effect. More coats can give you clumpy lashes though! The Maybelline Falsies Mascara although doesn't give you those celebrity style curly lashes or definitely can't replace falsies but for those who aren't much of a fan of false lashes will definitely find this amazing!! It adds a nice thickness to your lashes making them look a teeny bit long too. As it is waterproof mascara you need a good eye makeup remover to remove it completely but that's no trouble at all :) It also comes in a washable version but you still need a good cleanser to remove that one too. While I was guilt tripping myself I got a chance from Ikinaki to try out this completely natural and organic deo stick from Vilvah store and I must admit I was thrilled! Sweating is a natural process and not something that we should stop our bodies from doing. Many mainstream deodorants use aluminium chloral hydrate and aluminium zirconium to block this process and work as an ‘antiperspirant’ to stop sweating. Most of the deodorant contain aluminium which is absorbed directly into the bloodstream when applied on your armpits. It is particularly not safe for women which lead to breast cancer and can cause hormonal imbalance. Make your armpits happy with our natural deodorant range. The deodorant we make are not designed to block the sweat glands. Instead, we use a combination of natural ingredients to help absorb wetness, neutralize odour and making you smell fresh with our essential oil combination. Shea Butter, Virgin Coconut Oil, Cocoa Butter, Natural Vit E, Arrow Root Powder, Grape fruit Essential Oil, and Ylang Ylang Essential Oil. All products are free from Animal testing and contains No parabens, No sulphates, No silicones, No GMOs, No artificial fragrance and No harsh chemicals. The Vilvah Grapefruit & Ylang Ylang Deo is a burst of fragrance with strong citrus notes and if you love citrus fragrances then you MUST TRY THIS!! It smells so fresh and the scent is super natural, doesn't have any added artificial fragrance which is great. The fragrance is strong in the beginning and fades slowly as the day passes. Don't worry if you aren't a fan of citrus fragrances because the Vilvah Deodorant comes in 5 different fragrances - Rose & Vanilla, Lavender & Sage, Lime & Bergamot, Orange & Cinnamon, Grapefruit & Ylang. The fragrance of Vilvah Grapefruit & Ylang Natural Deodorant lasts for almost 10+ hours with slight fading during winters which is a great deal and it lasts for 2-3 hours during summers as it doesn't control sweating! The fragrance still lingers until even the end of day but it can be felt only by you once in a while and doesn't really spread around. So if you are looking to pick it up for summer then re-application is definitely necessary atleast 2-3 times in a day! It doesn't control sweat, it doesn't promise to either but definitely eliminates body odour and keeps your underarms smell fresh althrough the day :) The quantity is more and one pack would last for a month or even longer if used everyday. Personally I feel it's pricey for a deodorant but as it lasts longer than all of it's commercial chemical-laden counterparts, functions better and most importantly doesn't have any harsh chemicals I definitely would recommend it! Then why makeup? Because I love it and I'm passionate about it! Coming to the point today I will be reviewing one of my foundations that I have a love hate relationship with - Coloressence Aqua Shimmer Makeup Base Foundation. The shimmer base foundation adds shine and gives a satin smooth finish for a flawless look. Silky and soft foundation for a perfect complexion and the special particles cover skin flaws and gives a natural skin tone. It was a time I was looking for a dewy glowy foundation and ended up picking this Coloressence Aqua Shimmer Makeup Base Foundation. It comes in a plastic tube that is semi transparent and you can actually see how much product is left. The tube comes housed in a black carton box. The box looks fancy and the packaging is of decent quality. The Coloressence Aqua Shimmer Makeup Base Foundation has a thick texture and takes bit of time to blend. It has a faint fragrance like the ones our olden days cosmetics had and honestly I don't like it all! It feels like a cheap quality product :/ The foundation has some tiny gold glitter particles that are visible on your skin even after blending well. If you like bright shiny looks then this wouldn't bother you much. The Coloressence Aqua Shimmer Makeup Base Foundation although takes a bit of time blends well onto the skin giving you medium coverage just like that! You can build it up to get a full coverage easily and that's the good part about it :) Most of the products from Coloressence cosmetics are stage cosmetics and are of HD types and that makes them worth buying at such affordable price. The Coloressence Aqua Shimmer Makeup Base Foundation is waterproof and sweat proof but does melt off a bit after few hours of application. It lasts put for almost 6+ hours provided you don't live in a humid place. 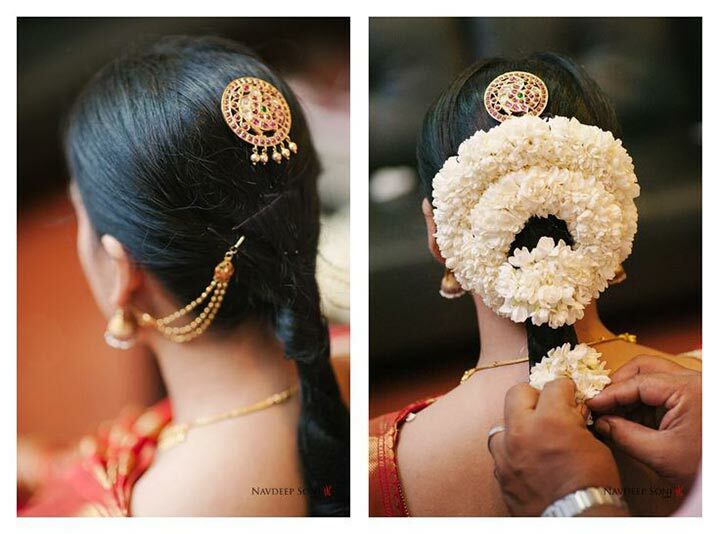 For a humid place like Chennai it fades and feathers away within 3-4 hours completely and re-application is necessary. But if you are going to be in an air conditioned place then the foundation would stay on you for the whole day without fading much! 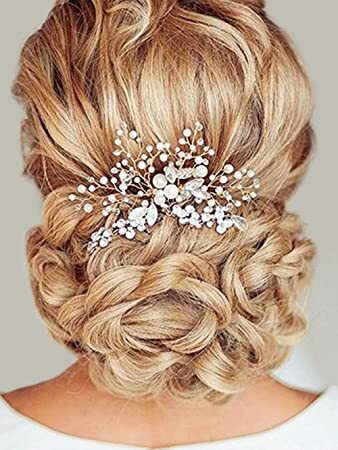 So here is a list of accessories that you could include as part of your wedding attire to get that extra oomph look! 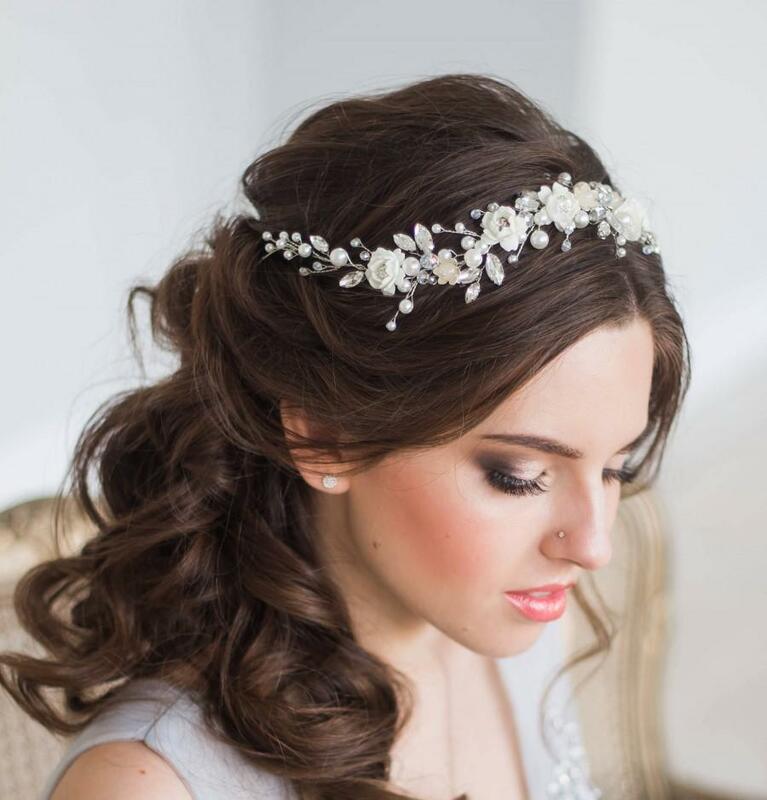 Headbands are such a versatile head accessory and it's one thing that suits all ages♥ A headband definitely pairs elegantly with your wedding dress (majorly the Christian weddings). 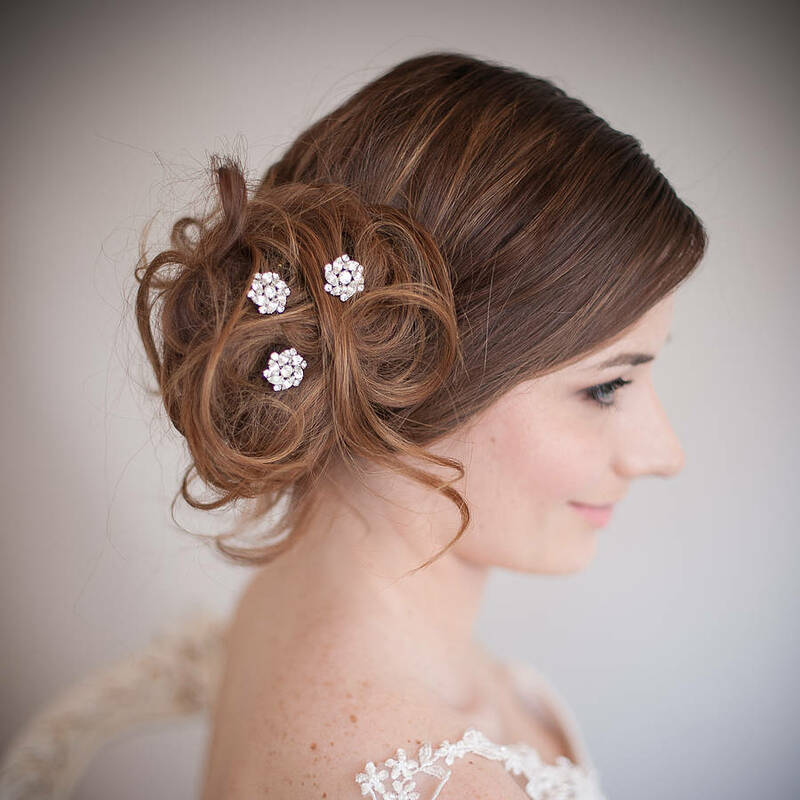 Tiaras are a traditional and always on trend hair accessory that looks elegant, chic and perfectly royal! Jhoomar is a traditional Rajasthani Bridal Hair accessory that looks so royal and takes your hair dressing to a whole new level! 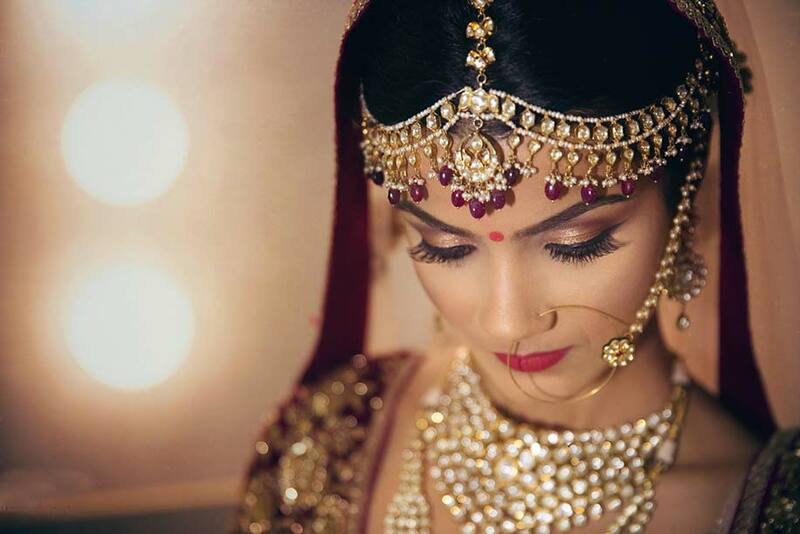 Noses come in all shapes and sizes but when you are a bride highlighting your nose is major goals because it totally changes the way you look and doing it perfect will help you look so gorgeous on your D-Day! 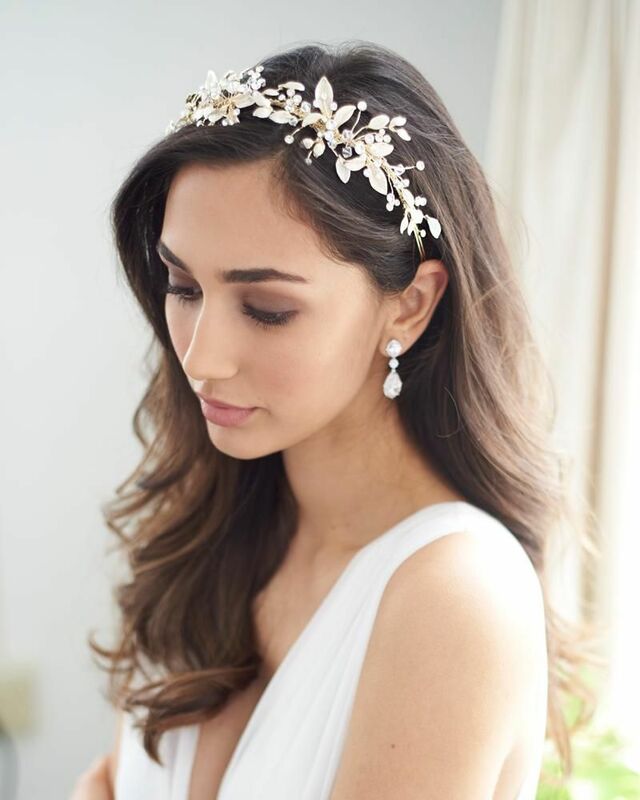 There are so many other accessories that can make you look like a goddess on your big day (if you wish and love accessorizing!) and we did not want you to miss knowing them too so that you can choose! An accessory that accentuates your arms and make them look slimmer ;) Worn right these can take the look of your bridal blouse to next level! 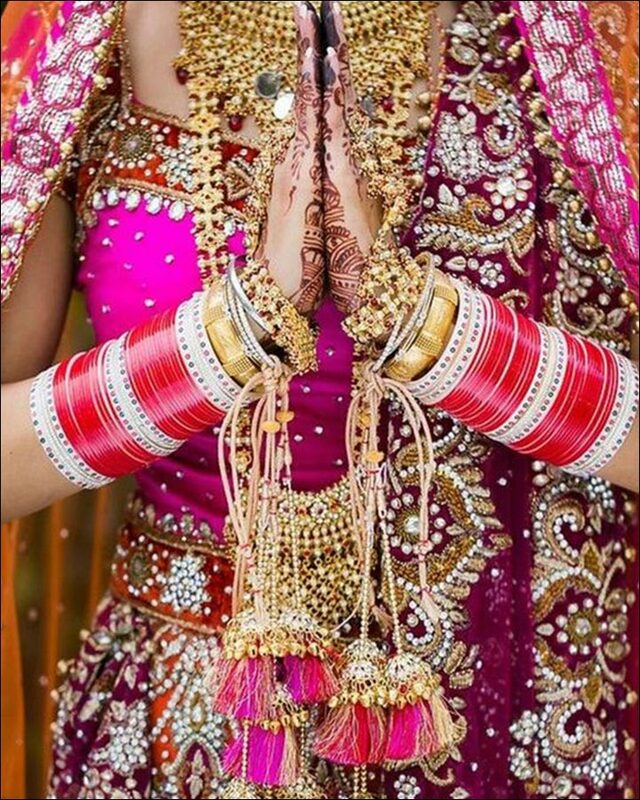 Every Indian family has a long tradition connected to bangles/chudas when it comes to weddings and apart from the sentiments bangles are a great way to bring in a positive vibe around! 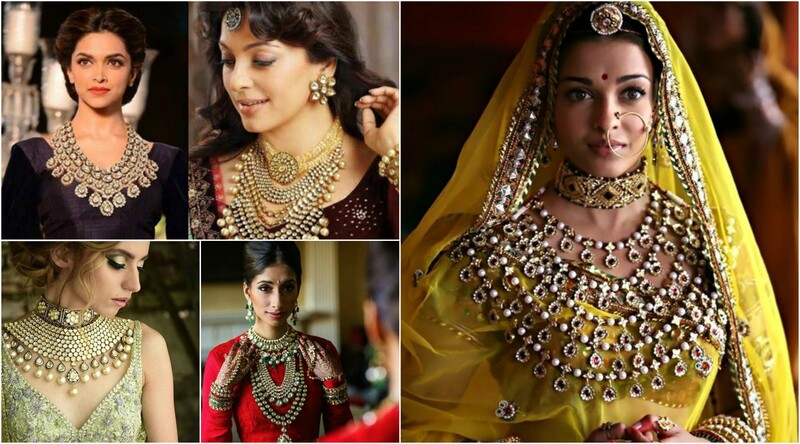 Although glass bangles tend to have a special place in Indian weddings we shouldn't be skipping the fact that bangles have come a long way! Kundan kadas, silk thread bangles, bridal bangle sets are all the class now and do not miss to include a bunch of it to your bridal trousseau girl!! 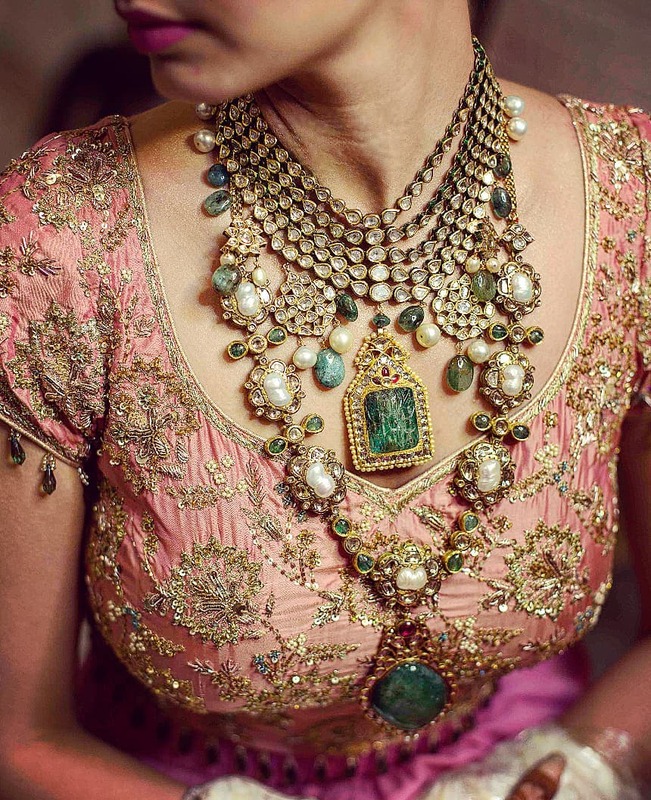 Statement neckpieces are a great choice to accentuate your neckline and such pieces go perfectly well with simple as well as grand clothing! Yes they're so versatile that way and there are plenty of them to choose from! Anklets are one special ornament for every girl because it just makes your feet look so beautiful and is an elegant choice to accentuate your feet when you are a bride-to-be! Read on to know more about this cute bottle of goodness!! The Nature Sure Rogan Jaitun Tel Olive Oil has a very light texture and viscosity, it doesn't feel thick like many other Olive oils which is great! It doesn't have any fragrance and it makes the oil a great option for skin more than hair. It's very light, non-greasy and gets absorbed quickly. Nature Sure Rogan Jaitun Tel Olive Oil is totally free of chemicals and is non-comedogenic which makes it an ideal option for all skin types. It nourishes and moisturizes my hair very well and helps keep it frizz free. Doesn't feel heavy or greasy on hair. For skin I use it as part of my OCM routine and it gives me clean and bright skin. It helps prevent my skin from getting too greasy and also keeps it soft & supple. OIl cleansing is really helping my skin in more ways than one!! It also works as a makeup remover and cleanses all the makeup easily. But you do need to follow up with a regular or foaming face wash to get rid of the greasiness it leaves behind! I have super cracked heels due to bad maintenance and applying the Nature Sure Rogan Jaitun Tel helps moisturize my feet making the cracks heal quick - also the pain reduces when I use it overnight on my heels. Although it doesn't help in curing them completely frequent usage must definitely bring in a difference! ~ Product sent by brand for consideration, honest review as always!